I just wanted to say thanks again for the session and everything that we spoke about. I have been putting myself into hypnosis every now and then since we met and it's so great to feel like I can easily clear my mind! I have also had a much clearer understanding of what direction I am headed because of everything that came up in the past lives, so great! Why Do You Want To Schedule a Past Life Session? 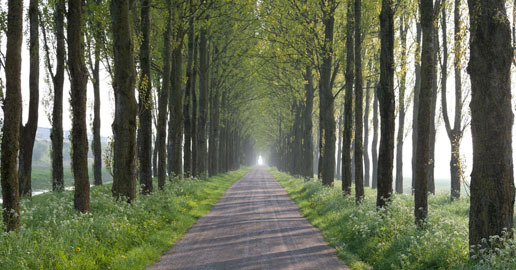 Past Life Regression Dallas clients come to see me for a variety of reasons. Why do you want to schedule a Past Life Regression session? Or as I ask my clients at the session or on the phone, Why do you want to do this? Although every answer is different, lately I have noticed an interesting twist in response to that question. Below is an 5 minute preview from a Houston TV show shot in January 2013. This is an interesting introduction to me and my work in this area. Release physical, mental or emotional challenges that hold you back. I get calls from people who say they are just curious about past lives and want to find out who they were in a past life. Many of these people have read books on Past Life Regression like Many Lives Many Masters, Only Love Is Real, Messages from the Masters and others by Dr. Brian Weiss. Some have read about Life Between Lives in books such as Journey of Souls and Destiny of Souls by Dr. Michael Newton. I get a lot of calls from those who have read these Past Life Regression and Life Between Lives books because I have studied with both of these authors and they know I have the knowledge and experience to guide them to what they really need to see in the most appropriate way possible. Some will say they are just curious about Past Life Regression. As we continue our discussion about Past Life Regression, I discover many who say they are just curious actually have questions that go beyond mere curiosity. The answers to these questions may or may not be answered in the Past Life Regression session. Some Past Life Regression sessions only scratch the surface of the information that is available. My clients tell me that their sessions allow them to gain access to the knowledge and understanding that is most important to them, though they often find that it's different than what they thought they needed. From time to time my clients will tell me that they are looking for more information that they feel is right before them, but they are unable to put their finger on it. Often they have a desire to access hidden talents and abilities, discover more about their gifts or gain access to lost knowledge from previous lifetimes. This knowledge may be the doorway to a new career, one that will allow them to use this new knowledge to help others as well as themselves. It may be an opportunity for a new relationship or a new path their life. It is not uncommon for a Past Life Regression client to tell me they have questions about their current life. Some of the questions involve releasing something in their life that is getting in their way, holding them back or preventing them from moving forward. The release could involve anxiety, stress, fear, grief, or even something they cannot put their finger on without assistance. Past Life Regression sessions that tend to have a purpose, more than mere curiosity, tend to be more productive and beneficial to my clients. They provide greater insight into the current life by looking through the eyes of the past life. When it comes to emotions, many people are interested in gaining a better understanding of relationships in their current life or why they are attracted to certain locations or cultures. Dreams that seem to be a past life often create an interest in Past Life Regression that results in scheduling a session. Anytime there are questions I make sure the prospective client has a clear understanding of the difference between Past Life Regression and Quantum Healing Hypnosis. The main difference between the Past Life Regression session and the longer Quantum Healing Hypnosis session is that the longer session not only explores several previous lifetimes like the Past Life Regression session, but it also provides the opportunity to get answers to questions. While the questions may relate to previous lives, they are typically more centered around the current life. The depth and quality of information that is received during these sessions can be invaluable and just cannot be achieved by experiencing the Past Life Regression session. A very common motivation to make the decision to schedule a Past Life Regression session involves what people call their Spiritual Journey. These people will tell me they are on a Spiritual Journey or that they need assistance with their spiritual journey. In my experience, I have found that these can be some of the most powerful sessions. These clients typically receive guidance, knowledge and understanding that goes way beyond what they could imagine. Without fail these people decide to schedule the Quantum Healing Hypnosis session, because it offers them access to the knowledge and understanding they are seeking. During this session they have the opportunity to connect with the higher self, spirit guide, angels or others in spirit who work with them. This can be an amazing way to move forward on your Spiritual Journey which is why I strongly recommend this session for those who are on a Spiritual Journey. Most people have a primary reason they want to schedule a session, however there can be a combination of reasons. For example, someone on a Spiritual Journey may be interested in bringing talents and abilities from other lives forward into their current life. This could involve a creative endeavor such as art or music, speaking another language or even something such as leadership skills. Often this may be one of their questions and the answer may even be a total surprise. Why Do You Want To Schedule a Past Life Regression? Are you ready to explore your past lives? Give me a call, send me an email or sign up for my email list and let's explore who you were in a past life. Past Lives, Reincarnation and Life Between Lives Spiritual Regression. To find out more call Mark at 214-432-6624 NOW to schedule your session so that you can explore your previous lifetimes with Past Life Regression and Hypnosis at Good Vibes Hypnosis Center in Dallas, Texas! This is a very interesting 1981 documentary with Australian Hypnotherapist Peter Ramster. Filmed live as the research was undertaken, with a bonus update for Gwen McDonald! Four women are regressed to their past lives and then seek out the places they remembered under hypnosis and find the evidence beyond the extent they had imagined. Don't judge this documentary by the first 4 1/2 minutes. Keep on watching cause the more it goes the more it gets impressive. Literally a scientific proof of reincarnation. Past Life Regression was not uncommon in my home as I was growing up in the 1960's. I learned about Reincarnation and Past Lives from my father at an early age when I watched him guide his subjects into hypnosis and into their past lives as they recalled information from deep within their subconscious mind about previous lifetimes. In many cases these people were able to resolve Fears and Phobias through Past Life Regression. I also had the opportunity to study Past Life Regression with Dr. Brian Weiss (author of Many Lives Many Masters, Messages from the Masters, Same Soul Many Bodies, Through Time Into Healing, and Only Love is Real) and attended an extensive training course on Life Between Lives Spiritual Regression. with Dr. Michael Newton (author of Journey of the Souls, Destiny of Souls and Life Between Lives Hypnotherapy) and the staff of The Michael Newton Institute of Spiritual Regression. After three different people told me about Dolores Cannon, I decided that the universe was telling me something, so I traveled to Arkansas to learn Dolores Cannon's Advanced Past Life Therapy Technique and I continue to return to Arkansas each year to attend her advanced Past Life Regression class. In addition to my work in Past Life Regression and Life Between Lives Spiritual Regression, I am also on the staff of The Michael Newton Institute as their Technical Consultant. This position involves interacting with Michael Newton and the Board of Directors of the Newton Institute to enhance, update and maintain the organization's website, and provide ongoing guidance and support in terms of technology online as well as offline. It feels great to be able to give back something to this organization which has had such an important impact on my life. During your Past Life Regression session your Subconscious Mind will work with you to support your goals around the regression, bringing you back to the appropriate past life that relates to what will be of assistance to you in your current life. You will have the opportunity to learn about your karmic patterns, receive insights into who you are and why you why you are the person you see in the mirror. You may also find that there are certain people in your present life that show up in your Past Lives and may grow into a better understanding of your relationships. As a result you may transform your existing relationships or choose to have more supportive relationships. Past Life Regression is an extremely dynamic and powerful way to go inside and connect with your inner self and your inner knowing to make positive changes in your modern day life. The fact that we have all lived many different lives in a variety of places and roles has a direct influence on our current life and who we are today. This helps explain why we are drawn to certain cultures, professions, hobbies, people, and relationships. Our soul stores the memories of these life times and we are able to access this knowledge using hypnotic regression. By learning from our Past, we are able to take charge of our desire for evolution and move closer to the goal of achieving our self-mastery. Past Life Regression sessions are available in my office in Dallas, Texas by appointment, and I am also available in New Orleans, Houston, Austin, San Antonio, Oklahoma City and Charleston, S.C. on a limited basis, usually 2-4 times per year, depending on the location. The sessions are provided on a one on one basis and are client centered in nature, providing you with the opportunity to gain the knowledge of your past lives for yourself. As your Past Life Regressionist, I will be guiding you into Hypnosis and providing the proper questions to you at the proper time in order to help you explore your past lifetimes and gain knowledge and understanding that can offer a unique insight into who you are and why you are here. I have several different Past Life Sessions available, give me a call so that we can discuss them and determine which one is the best for your specific situation. Fears and Phobias can be resolved with Past Life Regression, Rescripting and Life Between Lives Spiritual Regression. We will work with you to determine the most effective solution to discover the root cause of your issue and use our extensive experience in dealing with Fears and Phobias, Stress and Anxiety as well as other issues to reach a resolution that allows you to feel safe and secure. While many of my clients schedule a session in order to resolve a specific issue, others are interested in learning more about the relationships in their current life and others are simply curious about their previous lifetimes. Since I spend time getting to know my clients during the initial phone consultation as well as at the beginning of the session, I have discovered that everyone who has a desire to explore their past lives and follows my simple instructions is able to access information from previous lifetimes. Would you like to explore your relationships? Is there an issue in your life that you feel may be a result of a previous lifetime? What are you waiting for? Call Mark now and get ready to explore your past lives and discover what has been holding you back from being the best you can be!